If you’re noticing poor performance from your commercial rooftop HVAC furnace, ventilator, or air conditioning system, it’s time to call the professionals at Front Range HVAC. Neglecting to have maintenance done on your commercial rooftop HVAC unit could result in costly repairs down the line. Even total unit replacement could be required if the neglect is bad enough. To protect yourself against this, be sure that your rooftop unit is maintained by the trusted professionals at Front Range HVAC, Colorado’s go-to source for top-tier commercial rooftop HVAC unit maintenance services. Commercial rooftop HVAC systems are known for developing problems that cannot be seen until they’re too far gone to fix. 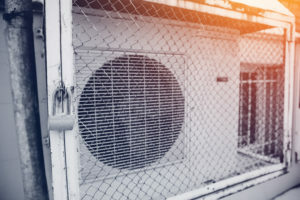 This is because many commercial HVAC units are hidden from plain sight, which is why it’s important to have an experienced professional evaluate your system to determine what maintenance might be required. Installing new components, checking for pressure leaks, and replacing worn materials all fall under the category of commercial rooftop HVAC unit maintenance. Front Range HVAC knows what to look for in evaluating a commercial rooftop unit for needed maintenance, and we have the expertise needed to see every maintenance project through to successful completion. If you want the best insurance policies against a future breakdown of your commercial rooftop furnace, ventilator, or air conditioner, contact us. After all, a healthy rooftop unit that is well-maintained stands a far lower chance of developing critical problems as the rest of the roof ages. Your building and the surrounding area are treated with utmost respect throughout the maintenance process. We provide a safe working environment for you, your tenants, and our employees. Every phase of the commercial rooftop HVAC unit maintenance project is controlled for quality workmanship. All your questions are answered, and you’re never left wondering about the status of your project. This approach to commercial rooftop HVAC unit maintenance sets Front Range HVAC apart from other roofing services providers in Colorado. We are often imitated, but never duplicated!